I loved this book! Amazing story/stories and well narrated. Well worth the listen. I didn’t find any of the descriptions too gory at all. I’m walking away with much more appreciation for our law enforcement officials than ever before. 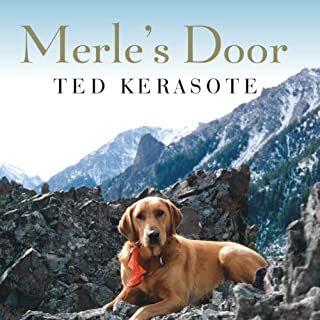 Definitely the best dog book I’ve ever read! Stupendous narration. Amazing story. Loved every minute. This is the best book I have ever written on weight loss. 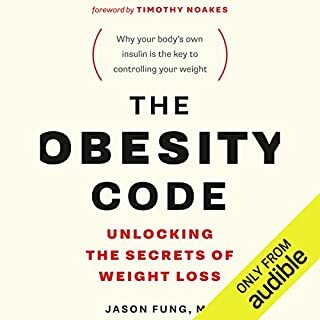 I highly recommend this to anyone who is confused, as I was, regarding nutrition and weight gain/loss. Dr. Fung gives clear information about how our bodies work and helps clear up so many mixed messages! The narration was on point and I would have thought Dr. Fung himself was reading to me if I didn't know better. 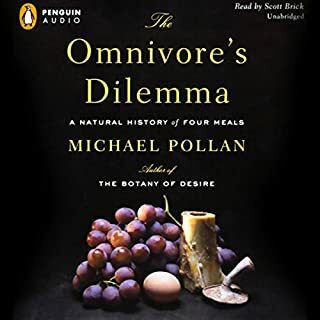 His voice is pleasant, his inflection appropriate, and his narration gave the book a personality that kept me listening even though it got a little science-y in some places. I got to some places and needed to stop and reflect on the information I just read. I was angry towards other doctors and the government who had fed me incorrect information for so many years. I was angry at myself for believing them when it clearly didn't work. But I was also relieved that I now had information that I knew would work. Armed with this new information, I will never go back to my old beliefs about weight loss. I have begun a new way of eating that incorporates intermittent fasting and I have never felt better. Read Fung's next book, The Complete Guide to Fasting. Watch his YouTube videos, read his blog. Soak it all in. Gin Calhoun Stevens also has an excellent book, Delay Don't Deny, that touts Dr. Fung's principles. It is very relatable. This is doable, people, and we need to do something different since what we have been doing doesn't work. If I can do it, anyone can. It starts out a little slow and difficult to listen to, but it gets better after the first few chapters. I love real life stories about people who overcome adversity and this one did not disappoint. 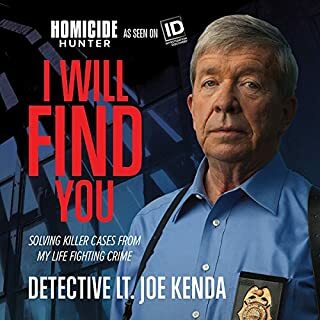 I loved how he obviously infused some dialogue specific to the listeners of the audiobook. Several belly laughs, but this isn't meant to be a comic performance. 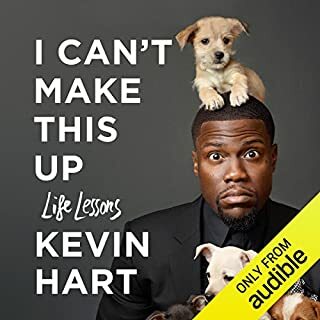 Kevin captured my attention and kept me listening with interesting stories and relatable content. When I am left feeling like I've learned something from someone and the book uplifted me, I know I'll probably read it again. I'm a fan for life. Love his heart! Thanks, Kevin! 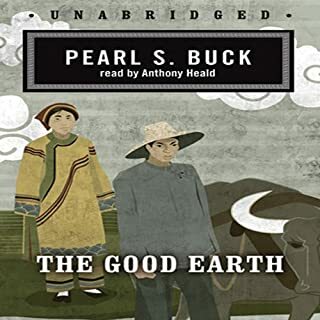 Mr. Heald is a gifted performer and I do not think I would have enjoyed this book half as much as I did if he had not been so beautifully read to me. Not that it wasn't a great story, just not quite what I expected. Through the narration I was able to visualize the exquisite detail of each character, the nuances of their personalities, and the daily struggles of those times so long ago. The story was a little simple, but actually a refreshing change from contemporary novels, and I enjoyed the variation. 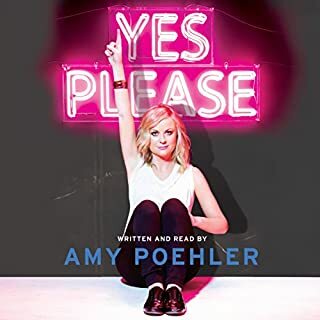 I've always said that narration can make or break an audiobook and this narrator definitely made this book a favorite for me. Eloquent, enlightening, and endearing. I learned a lot but it was also an excellent story. 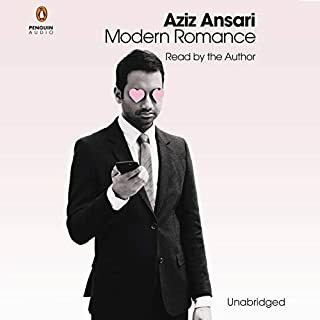 Some reviews were not favorable towards the narrator so I wanted to make sure and review this audiobook so you would have other opinions. 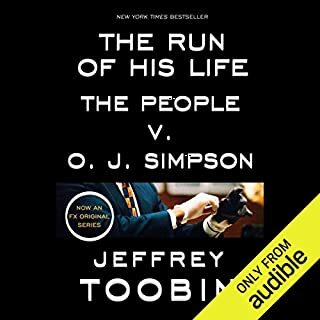 At first listen, he is a little different, but for me, his narration fits the author perfectly. His annunciations were always on point and he had perfect timing. It truly helped keep me listening. Yes, It All Makes Sense Now! If you truly follow her methods, you can achieve a home and life of order. I loved the narrator's voice, too, which is always the best indicator of whether I will enjoy a book or not. 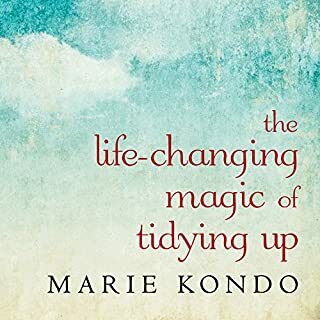 If you are considering this book, then you obviously have an interest in how you can change your life by de-cluttering. As with anything else, if you only partially follow these guidelines then you will only partially get results. Just trust her methods and listen to her logic. I believe it can be life-changing if you let it. Great info in a hilarious context! Unique stuff I haven't read before and I've read quite a few articles and books on this subject. Thoroughly enjoyed this book! It was funny, but I also learned something. She has some great life perspectives and her stories communicate that she's a good person. Makes me want to be a good person, too. Thanks, Amy.